Need Support? Add a ticket here. Wow, this is fantastic work! Congratulations on a stellar theme. I have no doubt this will be very popular—glad to be an early adopter! 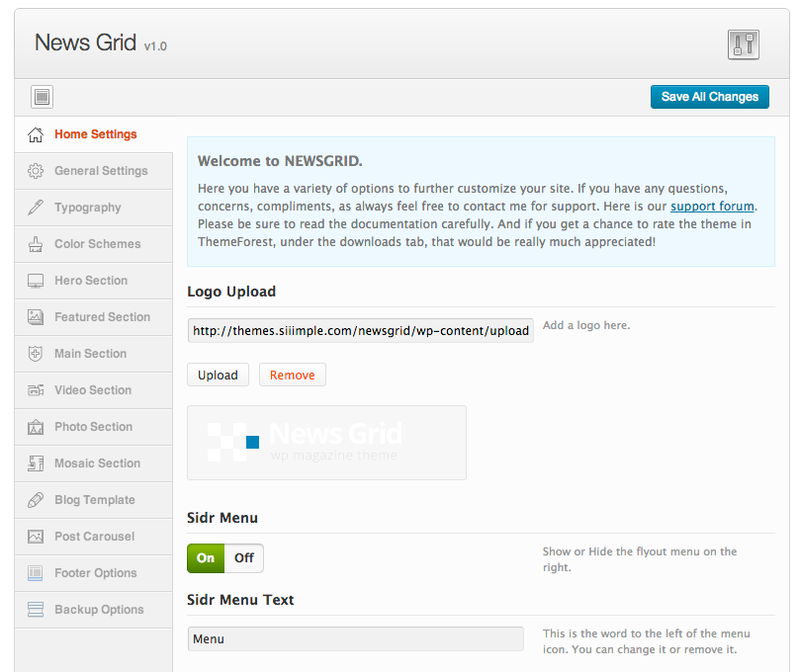 For anyone contemplating purchasing News Grid, this is the second siiimple theme I’ve purchased and I’m hugely impressed. It’s an easy 5 stars. The attention to detail is exemplary, e.g., the consistency between mobile and desktop displays; the sidr menu; and the smoothness of the animations. 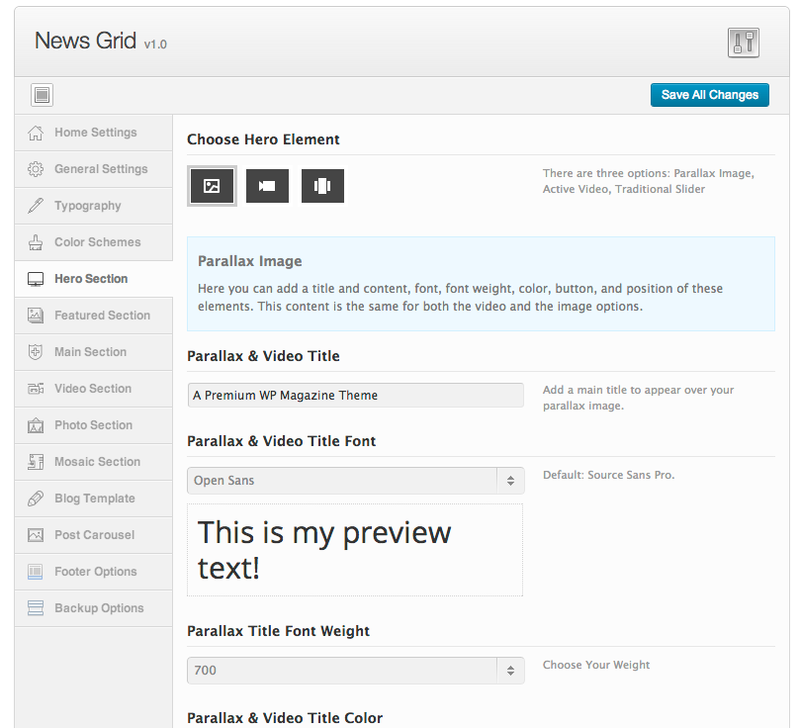 The theme options on News Grid are robust and really well thought out. It’s hands-down the best options interface I’ve worked with. But the thing that really makes me smile about siiimple themes is the rockstar support. I wish every author here were as lucid, personable, and responsive. You’re crushing it, dude! Thanks a million. 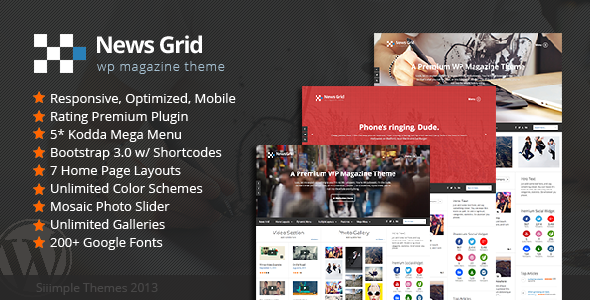 A special thanks to Syamil for his awesome Theme Options framework! Thanks for all your hardwork! 1. Fixed bug with carousel on pages. 2. Added option to remove excerpt from pages. 1. Fixed issue with Tabs in plugin breaking layout when using large amounts of content.